Over the past four plus decades, we’ve seen more than our fair share of strange Star Wars merch, from air purifiers to soup cans, to pepper mills. 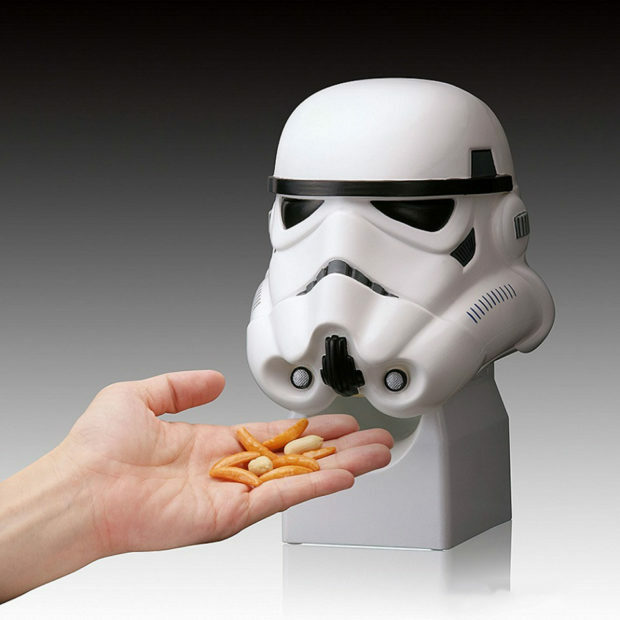 The latest in that long line of weird products – Darth Vader and Stormtrooper snack servers. 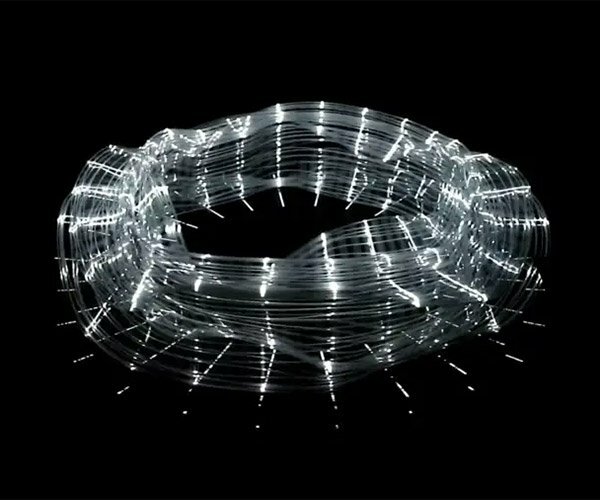 These desktop helmets feature a mechanism which doles out a handful of snacks when you place your hand in front of them. As you can see from the video below, they also speak lines from the movies as the puke out some bar snacks. In this case, they’re serving up some persimmon seeds. 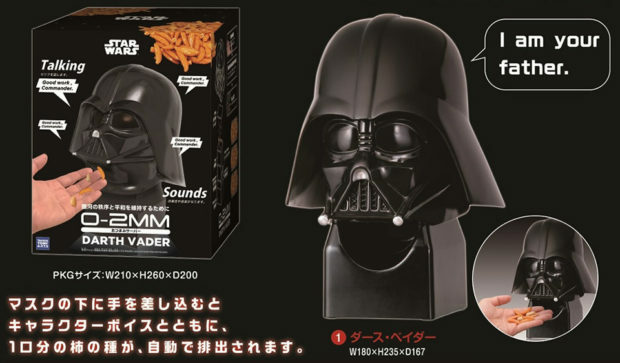 The Darth and Stormy dispensers are being made by Japan’s TakaraTomy A.R.T.S. 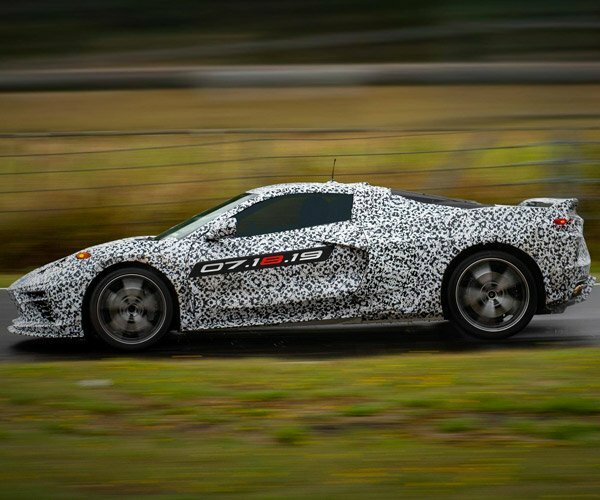 and are expected to sell for about $75 when they drop this November.